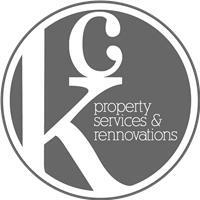 K C Property Services - Builder, Kitchens based in Reigate Road, Surrey. My name is Keith Cook. As a sole trader I have been working in the building and refurbishment trade for over 25 years. K.C. Property Services is a trusted and reliable company with customers that have returned year after year with new project requests. At K.C. Property Services we pride ourselves on providing an exceptional service at a competitive rate. I work closely with my clients to deliver a full service with advice from planning to completion. Customer satisfaction is very important to me. I supply a friendly, reliable service undertaking a wide range of projects for the private home owner. I am happy to advise on all jobs large or small providing a free quotation & advice.